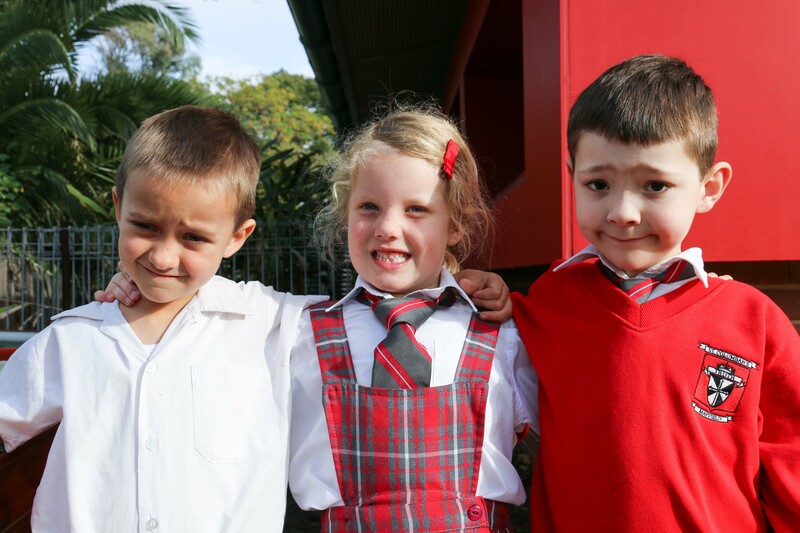 St Columban’s takes pride in their students wearing the school uniform in a proud and tidy manner which represents the school to the highest standard. As a parent, you can assist in this by ensuing that your child has all the required uniform pieces, ensuring that boys have shirts with room to allow for the comfortable buttoning of top buttons and tucking in of shirts and by replacing lost uniform items as needed. The St Columban’s uniform - Jumper, zipper jacket, sports shirt, stocking and tie - is sourced and supplied by the school. For your convenience, the school a uniform store located at the school office. The girl’s skirt is available through Lowes Newcastle and Glendale stores.